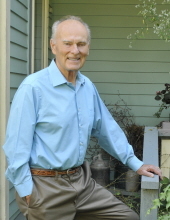 David Ray Lash, of Rockville, Indiana passed away peacefully in his home on April 2,2019. Band , All-State Orchestra, and attended Interlochen National Music Camp. spent at the camp. He was a hard worker with self taught skills and an appreciation of nature. Methodist Church. They were married August 6, 1965.
auctioneers license. Dave found auctioneering both a challenge and a pleasure. to all he met. He wanted to bring others to Christ. He taught a bible study and Sunday School. traveled around the state, in costume, as John Wesley in effort to bring more people to Christ. and his favorite dog Lass. To send flowers or a remembrance gift to the family of David Ray Lash, please visit our Tribute Store. "Email Address" would like to share the life celebration of David Ray Lash. Click on the "link" to go to share a favorite memory or leave a condolence message for the family.